Below is a list of our Fallen Heroes of Tioga County. We are searching for any information regarding these individuals or any names that may have been missed. Where is their home town ? What branch of service were they in? What was their rank? 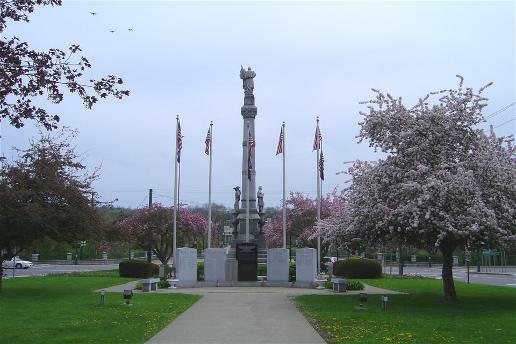 Please contact: Glenn A. Warner Post 1371, Veterans of Foreign Wars Memorial Day Chairman Jim Raftis 687-4229 or email [email protected] Please leave your contact information (name, phone number, email address, etc.) so we can reach you to furthur discuss any information you might have. James L. Alexander, Clyde H. Armstrong-Newark Valley, Robert W. Avery-Newark Valley. Robert E. Baker-Candor, William Ballard-Newark Valley, Rockwell Beatti-Richford, Peter Joseph Bish-Candor, Perry S. Bogart-Owego, Harold J. Briggs, Miles I. Brown-Waverly. Stuart R. Cook-Newark Valley, James Cooper-Berkshire, Russell E. Cowan. Albert D. Crandall-Town of Barton, Harold H. Cranmer Jr., James F. Crockett-Waverly. David C. Dalton, Roland B. Detrick-Owego, Earl Diller Jr. – Candor, Willard D. Dinniny, Harold L. Dolan-Smithboro. Ernest L. Echorst-Richford, Richard P. Edsall-Nichols. Ralph Finn Jr., Edwin Fisk, Myron C. Fitzmaurice-Lockwood, Harold Forshee-Richford. Hugh R. Gardner-Apalachin, Robert W. Garrison-Waverly, Edwin H. Gould-Spencer, William Harding, John F. Heagerty, Richard Hoyt-Candor, Albert A. Hyde. Robert J. Jannett-Waverly, Peter Jenks, Howard I. Jordan-Candor. Austin J. Leahy-Owego, Marion Lisk, Marion B. Lovejoy-Candor, Richard D. Lucas-Van Etten, Robert H. Lunn, George B. Lynch. Chauncey S. Moreland-Owego, Gerald L. Mosier. Adolph V. Nagel – Candor. Raymond J. Oakes-Newark Valley, William J. Osborn Jr. – Waverly. Mario A. Panetti-Owego, Paul (Howard) Phillips-Waverly, John M. Peppard-Waverly, Ralph Piatt-Candor, Frederick E. Porter. John Reybold-Owego, Robert G. Relyea, James A., Rogers, Richard Romine-Owego, Clifford L. Royce-Richford, Edmund L. Rundell-Owego, Melton D. Rundell-Richford,. William A. Rush. Hiram S. Saddlemire, Adam C. Schwindle-Owego, Warren A. Schutt-Waverly, Donald L. Short-Barton, Delmar Sibley-Owego, John T. Slater Jr. – Waverly, Carl D. Smith-Owego, George C. Smith-Owego, Thomas F. Smith-Owego, William J.. Smith-Berkshire, John A. Stiles-Owego, Harold L. Stevens. Elmer R. Taylor-Waverly, Edward R. Thornton-Spencer, Keith Tucker-Nichols, Robert M. Turner. Walter Vanderpool, John R. Vlymen-Waverly. Donald A. Warner, Glenn A. Warner-Owego, Harry A. Warner, Richard Warner-Lounsberry. Merle E. Watkins-Richford, Edward E. Whalen-Straits Corners, Edward Whipple-Newark Valley, Earl F. Winslow, John E. Wright-Nichols. Robert R. Zimmer – Spencer. Spencer Kellum, Arden Kelsey, Richard Landon, James Madden, Harry Marcy, Leo W. Marcy, George S. Mallery, Harry J. Marshall, Harry Munn, Kenneth Nelson. William Piatt, Bert Shattuck, Archie Short, John Sittilotta, Harry B. Smith, Budd R. Somers, Frederick Vandermark, William E. Weeks, Ellsworth Whitley, Leon P. Williams, Harry L. Wright and Frank Zoltowski. John H. Lisenby-Nichols, John W. Maslin-Lockwood, Raymond U. Short-Owego and Raymond E. Weaver-Nichols. Michael John Chamberlain-Waverly, Robert Edward Douglas, Gary L. Faucett-Apalachin, Herman Eugene Miller, James C. Moore Jr.-Spencer, Jerrritt L. Murray-Tioga Center, James Edward Nulton-Waverly. Donald Thomas Penny, Anthony N. Revak-Apalachin, Duane C. Romeo-Candor, Donald Eugene Rummel-Owego, Donald Faye Spicer-Owego, Gregory Patterson Stiger-Waverly, John Richard Wurtenburg-Newark Valley and James Leon Zimmer-Owego. Navy Petty Officer 3rd Class Nicholas Wilson, Army Pfc. Nathan P. Fairlie, Army Specialist Charles E. Bilbrey Jr. The official honor list of dead service people from Tioga County in World War II was prepared by the Adjutant General for the War Department in Washington, D. C.
The data originally appeared in the Owego Gazette, June 27, 1946, thanks to a discovery by Edward Nizalowski of Newark Valley. This was supplemented by an extensive Internet search of the WWII Honor List of Dead and Missing from the War Department of June 1946. The list identified those men on active duty whose deaths resulted directly from enemy action or from operational activity against the enemy in war zones from Dec. 7, 1941, to the end of World War II. Additional extensive research provided more names from community sources. There were checks of family scrapbooks, high school war year’s scrapbooks, newspaper articles from 1941 to 1946. local pennysaver, newspaper, radio and television coverage, walk through of cemeteries, reports from town historians, conversations with WWII veterans and families of veterans.